In 1991, the Chicago White Sox built US Cellular Field. 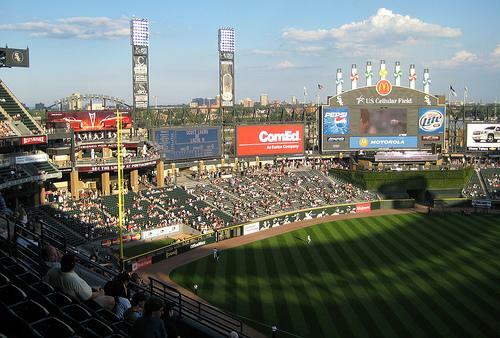 However, the White Sox did not change the stadium name from Comiskey Park until 2003 when U.S. Cellular purchased the naming rights for a whopping $68 million. From 1910 to 2003, the park was known as Comiskey Park. In order to accommodate fans better, the team constructed US Cellular Field with "us" in mind. They added more restrooms, deluxe concession stands, and designed the new layout to give every fan a great seat for watching the game. The upper deck is steep with a 35 degree angle and if you sit high enough you can actually see Lake Michigan. There is also plenty of history like “The Two Blue Seats”. When the White Sox won the World Series in 2005, Paul Konerko hit a grand slam and Scott Podsednik hit a walk-off homerun to win Game 2. The Two Blue Seats, where the home runs landed, are still there today, even after several renovations to the stadium. Over the years, the White Sox have had their fair share of iconic players and figures. 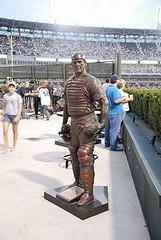 When you walk around US Cellular field you will find sculptures of Minnie Miñoso, Carlton Fisk, Charles Comiskey, Luis Aparicio, Nellie Fox, Billy Pierce, and Harold Baines. 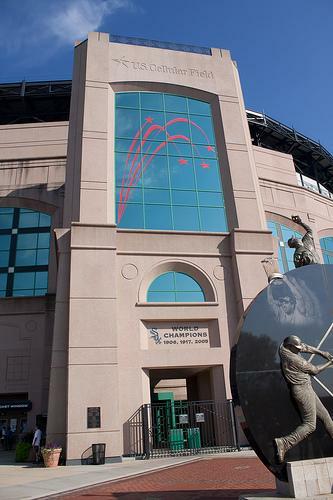 While things like seats with cup-holders and the Bullpen Sports Bar in right field have brought a unique appeal; U.S. Cellular Field still provides fans with a taste of Old Comiskey. One of the best is the scoreboard that looks identical to the original in Comiskey Park. During the summer months you can even use the sprinkle room to cool down, and there are still showers for the bleacher fans. Plus they continue to renovate US Cellular in order to bring in more fans and allow them to enjoy the game even more. Discussions about a new ball park started surfacing as far back as 1985 when Tom Seaver, Carlton Fisk, Ozzie Guillen, and Harold Baines were all on the team. Comiskey Park was at that time the oldest ball park in Major League Baseball. 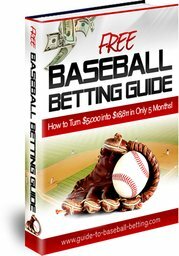 In order to get a new ball park, previous owner Jerry Reinsdorf threatened to move the team to Tampa, Florida if it didn't happen. Eventually the Illinois voters came to their senses and the City of Chicago made a plan to keep the team and build a new stadium. The plan included a 2% increase to the hotel tax. The groundbreaking ceremony was May 7, 1989 and the White Sox played their first game in the new stadium on April 18, 1991. In the first year, the new stadium had almost 3 million fans in attendance (2,934,154). One of the most unique additions to the new ball park was the infield dirt taken from Old Comiskey. The fans were happy about their new stadium until the Baltimore Orioles unveiled their new beautiful stadium called Oriole Park at Camden Yards. The White Sox's new park was the last one before the new retro-parks started surfacing across Major League Baseball. There is plenty of history at US Cellular Field including Frank Thomas hitting his 400th homerun in 2003, winning the World Series in 2005, Jim Thome hitting his 500th homerun in 2007, and Mark Buehrle’s perfect game in 2009.